Diversity: It’s All Around Us! occupy: We are different, but we all work together to make it a better place. We all work together in government, education, the private workforce, and so many other settings that all help to create what is known as modern day civilization. We are each other’s neighbors because we share the same planet, and this is the one aspect that we all have in common. We are such a diverse group of people working and living together. The quicker your children have a grip on dealing with others who are different, all the better for their future. This lesson's goal is to help your class achieve more skills at adopting and learning from another's culture or heritage. Prior Knowledge: Before your children start this project, have them participate in a circle-time discussion. Have them point out the differences in each other such as length of hair, height, or facial features. Your objective is to have them notice these differences but in a positive way. For instance, you can point out that Shelly has long brown hair but also have everyone agree that it is pretty. 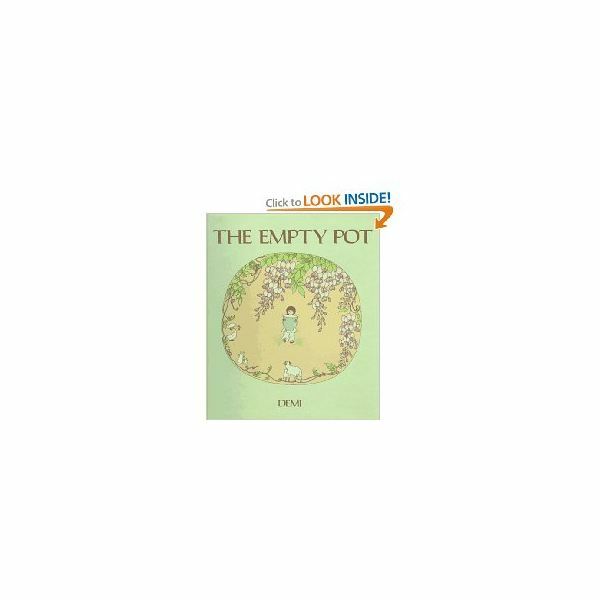 The book titled The Empty Pot by Demi is about a boy named Ping who lived in China; Ping was a boy who loved flowers. The book has stunning illustrations within its pages that are both entertaining and artful. This book is one that is full of lessons for the children to learn. They can learn the power of telling the truth by reading The Empty Pot. They can learn that having a love for flowers does not have to be gender-specific. In fact, there are many men who are florists. They can also learn the lesson of not giving up from Ping, the main character of the book, who decided not to give up when faced with adversity. They will most definitely learn a lot about the Chinese culture. They will see how respectful the child is and even benefit from watching him use his patience, patience he had to acquire due to his seed not taking root at first. This book may actually become a favorite in your classroom during reading time. This book promises to teach so much to both the young and the old. Discussion – Have a circle-time discussion with the children after reading the book. Allow each child to tell the class what they liked about the book. They can say what they would do if they were Ping. They can discuss why we all should tell the truth. Sand Painting – Materials: You will need paint, brushes, sand, a container to hold paint for each child, dishwashing liquid, and paper. Instructions: Place the colors of paint you need in small dollops within a container for each child. The container should be able to hold small portions of paint separately; try using an old egg carton. In each small section, pour the paint and mix with a dab or two of dishwashing liquid. This will help to clean up any paint later on if needed. Pour in a small amount into each section of the container and mix. Now each child is ready to draw Ping and his flower. Chinese Lantern – Materials: You will need construction paper, pencil, white glue, safety scissors, kite string, and tape or a stapler. Instructions: Fold the construction paper in half horizontally. Draw pencil lines close to the top of the page, leaving at least one-fourth of it untouched. Cut out one of the strips on the very end of the paper for use later on in the project. These lines should be one-half of an inch between each other. Cut up the paper along those lines, leaving out the top portion. You can unfold the paper and staple them together, vertically. When you staple the lantern together, it should create a circle with the folded part protruding and slightly bent outwards. Take the strip and staple it to each side of the top of the lantern. The children can use glitter and glue to personalize their Chinese lanterns. String up the lanterns using the kite string in several rows for the children. Trinkets – Go to a store that sells authentic Chinese goods and buy trinkets to give to the children during the Lantern Festival. You can purchase Chinese fans or anything that is safe for their age group. During the festival, they will exchange them as gifts with each other. You can also buy a small amount of candy for the children packaged in the traditional Chinese fashion. Music – Go to the library or purchase some soft and relaxing Chinese music. You should play this music while you are having the festival. Dragons – Have them color the dragons to display during the festival. Lantern Festival: – Once you have done all the activities, you can turn down the lights slightly in your classroom. You can opt for using white Christmas lights for ambiance while you and the children discuss the Chinese culture, display their artwork, and give out gifts. Oral Assessment: You and the children in your class experienced a Chinese Lantern Festival usually given at the beginning of the year. You have exposed your children to another culture and have made them better people for it. Now it is time to ask them questions related to all that they have experienced. You can ask questions pertaining to the character in the book. You can ask them if they know what a Chinese lantern is. You can ask them if they enjoyed coloring the Chinese dragon. In conclusion, those who adapt easily to the fact that we live in a world that is culturally diverse may be those who thrive in life later on. Diversity awareness, or to be able to see one for who they are in character and not what you see on the outside, is a good skill in life. When children explore another's culture, it will make them a little more sensitive and respectful. Building a world that is more accepting of others and respectful of another's culture or heritage may actually rest on the shoulders of our children. If that is fact, then we need to teach them as early as possible. We need to get the message to them that embracing someone for who they are and not finding fault in their differences is the right thing to do. It is best not only to teach them how to embrace others but also to embrace the truth. The book The Empty Pot gave an example of how we should grip the truth in the circumstances we face daily; preschoolers are at the ripe age to learn this lesson as well. They are ready to learn the many lessons that this pre-K theme on China has to offer them. They will realize that just as they have traditions and customs they learn from their family so do other children all around the world. They will acknowledge that when you go through life being open to the heritage of others while not losing your own, you have a recipe for success. We must all realize that it takes everyone of every culture doing their part to make our world function as a whole. For a lesson plan that focuses on the nearby country of India, please see A Preschool Lesson Plan – Meeting the Indian Elephant.